I know most people would not say that their favourite season is Autumn, but I personally love the change from Summer to Autumn. I love nothing more than snuggling up with a massive blanket, whilst drinking a hot chocolate and binge watching my favourite shows on Netflix or Amazon Prime. 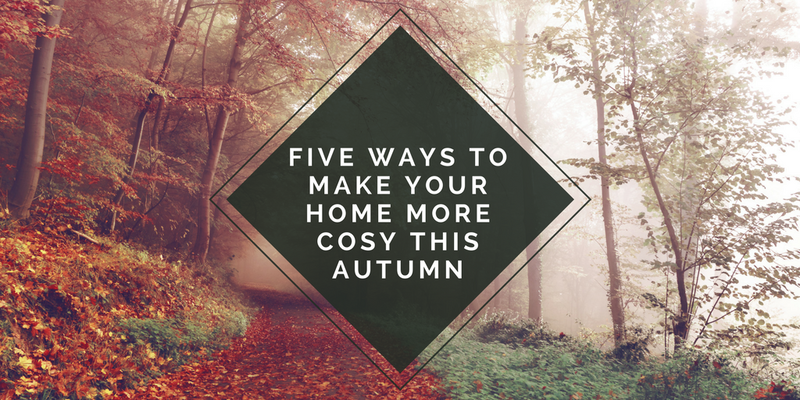 As the leaves start to change colour, and the weather becomes colder, it's easy to wish for that hot weather again, so I thought I would help you embrace this wonderful season with five ways to make your home a little bit more cosy. If you are anything like me, you will love binge watching your favourite shows during those cold Autumnal evenings. I love to trow on a nice flattering onesie (which my husband hates!) and snuggle up with some lovely thick blankets on the sofa. Sometimes I even drag my duvet downstairs if I want to be particularly cosy, although this does have the risk of dropping crumbs all over your duvet! We usually buy a thicker duvet for the winter months, or use a heated blanket on the bed for double warmth as winter draws in. I buy most of my blankets from the supermarket, and find that Asda usually have some really lovely ones for a very decent price. They usually have matching cushions in case you really want to theme your living room for the season too. If you would rather shop from home, I love this mermaid tail one from Amazon. I think that pretty much every single female on this planet is a little bit obsessed with candles. They just make the place the little bit more cosy, and fill your house with some amazing smells. I like to theme my scents for the season, so recently went on a little candle shopping spree to stock up with some autumn scents. For me I love nothing more than some nice spicy scents for the autumn season. I also like to recreate the feel of sitting around a fire toasting marshmallows on sticks. If you are not sure where to start when it comes to candles, I'd say to just look for anything that has "Autumn" in the title. My favourite places to buy candles from are Yankee and TK Maxx. I also opt for Soy candles as I feel that they have a longer burn time and they just smell a little bit better! When it comes to comfort, everyone likes something a little bit different. At the moment we have fabric sofas which are nice and deep. I love making myself a little cosy den with cushions and blankets in my favourite spot. I can then work or watch my favourite programmes all snuggled up. I even let me husband join me sometimes. It is important to always make sure that you have plenty of snacks within reach, and make sure you have a supply of hot drinks, and maybe even a hot water bottle. Someone else who thinks that everyone should have a safe and cosy haven is Fenetic Wellbeing. Fenetic Wellbeing are a mobility company who work with their customers to provide them the perfect comfort for their individual needs. As someone who suffers from a range of Chronic illnesses, comfort is high on my list. When I am suffering from Chronic Fatigue, I want to just cosy up on the sofa surrounded by comfort. Fenetic Wellbeing want you to #RelaxandRecline this autumn, and their recliner chairs certainly help you get a little bit more comfortable. I remember that my Gramps always had his own special recliner chair and he always looked extra comfortable. I know it really helped him as he became more unwell, and I remember when I was little cuddling up on his lap in his special chair. There is so much hype surrounding drinks that come out around autumn time at popular coffee shops. I'm sure just about everyone has heard of pumpkin spiced latte. I must admit that I haven't actually tried this. I'm not a fan of pumpkin, and I'm also not a fan of nutmeg or anything spiced. Mince pies are totally out of the question at Christmas time, much to my husband's delight as he gets to eat them all! My favourite drink for Autumn is actually hot chocolate. I know it isn't anything special, but as the cold creeps in I like to grab my huge mug out the cupboard and fill it with one of my favourite flavours of hot chocolate. My favourites include mint, orange and peanut butter! If I'm feeling extra fancy, I add in some marshmallows too. I also enjoy hot squash, especially Vimto. I'm pretty easy to please when it comes to drinks really! 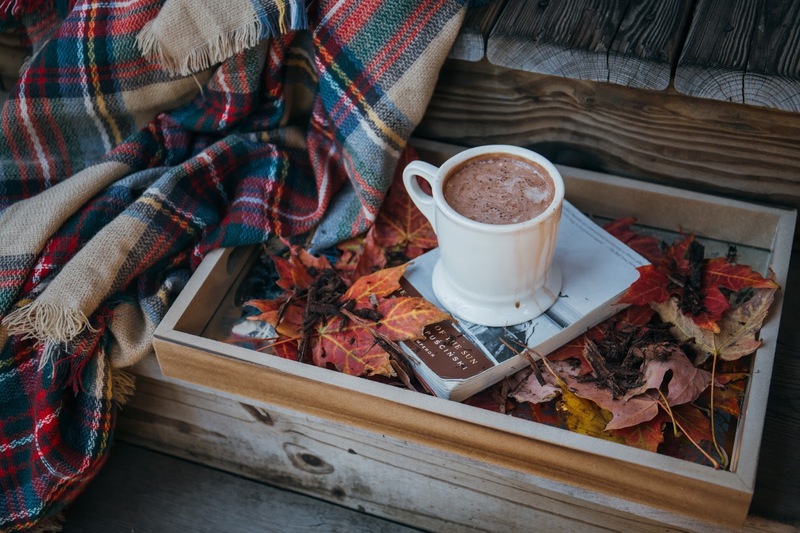 I recently read "The Little Book of Hygge: The Danish Way to Live Well" and it taught me all about getting cosy and creating warmth within my life. Although we haven't yet, we are going to be investing in some lamps for the living room. We already use them in the bedroom and office as it just makes it a little bit more cosy. You can't really get comfortable with a bright main light on in the room, but I can't have a room in darkness either! With my Epilepsy, I have to make sure that I have just the right amount of lighting or it can make me feel pretty unwell, so some well placed lamps can offer the light that I need whilst also adding to the warm cosy feeling. You can always just have some candles burning instead to really give you that autumn lighting. Anything that is close to replicating a lovely ski lodge in the mountains gets a thumbs up from me. 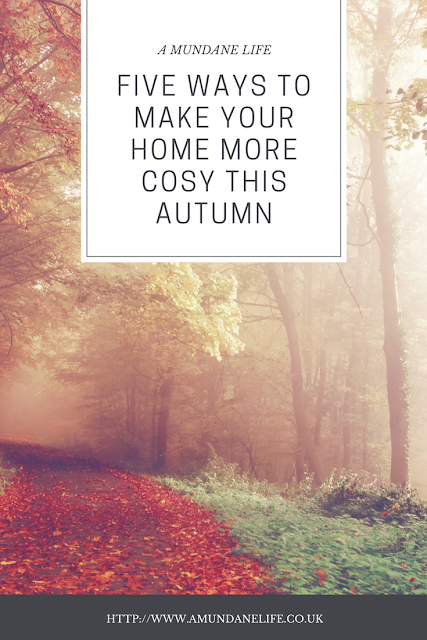 How do you get cosy in the Autumn? Fenetic Wellbeing would love to know how you snuggle down so let them know using the hashtag #RelaxandRecline.